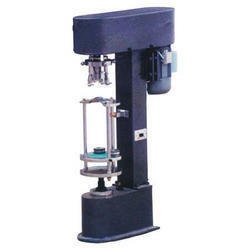 We have now come up with two different varieties of our Automatic Cap Closing Machines. Both these models are similar in the majority of their features, but one handles the closing of plastic caps whereas the other takes care of metal caps. 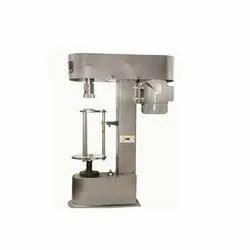 SPCL-40P Cap Closing Machine is applied to seal, thread metal burglar-proof caps, zip- top caps, aluminum sealed caps and nozzle caps which are made of glass, plastic and PE material in plants of beverage, wine, chemistry industry, medicine and cosmetics etc. We are offering Cap Sealing Machine to our client.